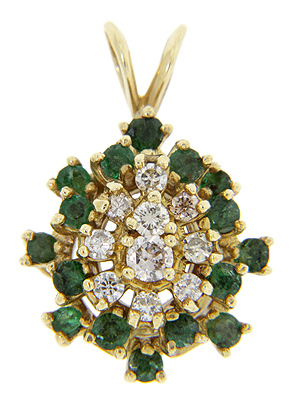 This 14K yellow gold estate pendant has brilliant emeralds surrounding a cluster of diamonds. 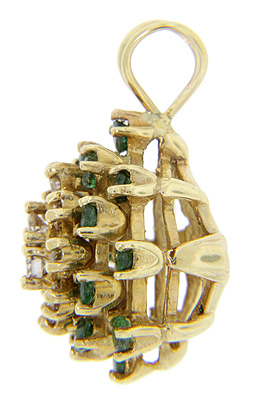 There are sixteen emeralds with approximately .74 carats total weight and ten diamonds with approximately .38 carats total weight of diamonds. The mounting is tall. 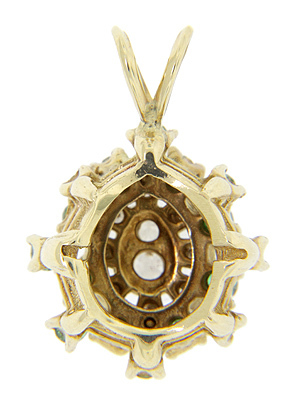 The pendant measures 1 1/8” tall and 3/4" wide. Circa: 1950.